Magnificent home in prestigious Oakwell Farms with Guard at gate. 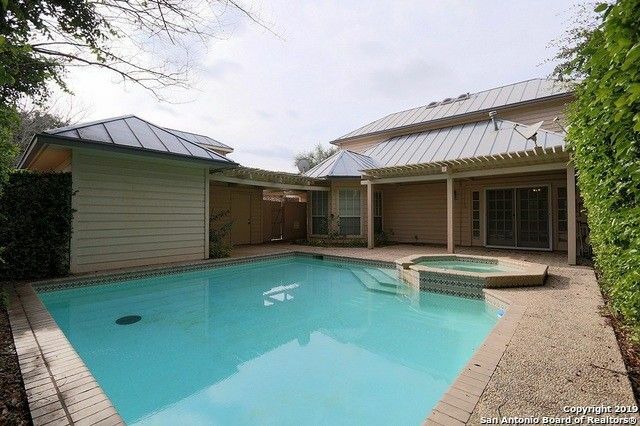 Lovely heated pool & hot tub w/lush landscaping & pergola to sit under and enjoy your privacy. Chefs will impress in this beautiful kitchen w/vaulted beaded board ceilings, brick wall surrounding built in oven & microwave, huge granite island, open shelving & views of pool. Beautiful wood floors thru out except wet areas (marble & tile)...no carpet Cedar closet, downstairs master retreat...a splendor of amenities! Paradise found! Own it!